Businesses operate in an increasingly specialized environment. As technology evolves and best practices undergo changes, countless specialties emerge. 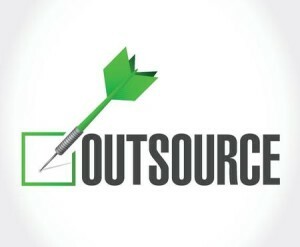 For producers and operators, the question often looms: “Should I tackle this phase of production in-house, or outsource my need to a specialist?” And while some manufacturers and business analysts decry outsourcing, others see its merits and look for ways to use it to their advantage. As industries modernize and respond to ever-changing consumer needs, their methods shift, enabling them to remain competitive. In many case, the best approach includes outsourcing. The early automotive industry, for example, produced cars from the ground up, relying on parts manufactured in-house. As the industry grew in size and became more sophisticated, automakers realized that producing each part themselves did not necessarily create a competitive advantage. On the contrary, subcontracting particular needs to outside specialists actually facilitated efficient and economical production. Today, the principle applies to countless components and services used by producers to bring goods to market. Packaging, for example, is increasingly contracted to outside vendors. The strategy furnishes several benefits for companies that outsource packaging, including efficiency, economy, consistency and innovation. Core competency is a fundamental aspect of business success. And in competitive, evolving markets, it can be challenging to stay on the cutting edge of your own industry. Add the complexity of mastering ancillary specialties, and the scope of practices required to maintain smooth operations often grows beyond manageability. As a result, outsourcing is stronger than ever before, especially in the packaging industry, which sees forward-thinking producers turning to contract professionals for help with design, fulfillment and logistics. Contract packaging professionals bring proven benefits to projects serving diverse needs -from traditional retail merchandise to pharmaceuticals and other specialty items. Experience – Like other businesses, the packaging industry evolves over time. Established contractors have the foundation required to identify trends and look toward the future for cutting-edge packaging solutions. Materials – Innovation is at the heart of packaging and design, so advances in materials bring new possibilities to the industry. Experienced packaging partners understand when to bring emerging types of materials to their production lines and when to use traditional, proven resources. Best Practices – Packaging success represents a balanced blend of form and function. Contract packagers are tuned-in to the best available production modes. Accounting for economic impacts, market particulars, and technological advances, contract packagers are prepared to guide clients toward the best available fulfillment methods. Compliance – Consumer goods are regulated by a complex web of rules, which changes frequently. Food, medicine, and nutraceuticals are subject to especially rigid protocols, making it difficult for producers to comply with mandates. Outsourcing to competent packaging partners lifts the regulatory burden, because reputable facilities are outfitted according to prevailing laws and maintain the proper credentials to package regulated items. Turnkey contract packaging solutions enable manufacturers and producers to devote resources to the core, essential aspects of their operations. By deferring to experienced packaging providers, you actually create a competitive advantage for your product lines. Spread Risk – For ongoing success, each phase of production must answer the question: Are we doing our best addressing this need? Outsourcing mitigates the risk of underperforming, placing essential packaging functions in the hands of those best prepared to perform at high levels. Competition among packagers ensures that best practices are followed, eliminating your need for in-house packaging expertise. Increase Flexibility – As packaging standards change, contractors are prepared to respond. In house packaging operations, on the other hand, are not as adaptable. Outsourcing enables producers to rapidly respond to shifting consumer trends and other changes in retail markets. Maintain Focus – Regardless of what you produce, you must maintain expertise and authority in your field. Partnering with a competent packaging company enables you to focus on essential business elements, rather than logistics and fulfillment. Contract packagers are able to operate with greater efficiency than many in-house packaging services. As a result, external packaging partners are often able to reduce turnaround times and packaging costs, when compared to self-providers. Sourcing – Experienced packaging companies have well-established supplier networks, enabling them to source materials quickly and to buy components economically. The savings is ultimately passed to consumers, creating strategic competitive advantages for producers partnered with the right packaging companies. In addition to cost savings, dedicated packaging companies bring higher quality levels to market. Industry-best materials, processes and innovation enable contractors to exceed the results most producers can achieve in-house. Logistics – Contract packaging companies furnish logistics solutions, which streamline the supply chain and trim turnaround times. Packaging, warehousing and transportation work together to minimize lags bringing goods to market. Proficient turnkey providers present the best option for many producers, who rely on seamless turnaround. Facilities Network – Packagers operating multiple locations furnish distinct advantages for their customers, who benefit from local sourcing, efficient transportation and simplified supply chain management. Along with speed-to-market improvements, multiple, well-positioned packaging facilities foster spending efficiency and higher capacity for package customization. Outsourcing was born of the desire to trim production costs, but there are many additional benefits associated with the practice. Modern industry relies on contract packagers to stay on the cutting edge of merchandising, logistics and supply chain management. In fact, working with the right packaging provider actually creates competitive advantages for those using external partners. A growing number of producers are embracing these benefits, cementing outsourcing as a go-to packaging strategy.